In Hawthorne Park at 12th and Catharine in South Philadelphia, this lectern was commissioned to commemorate a speech in 1965 that Martin Luther King Jr. gave on that spot when it was a housing project. It was funded as part of the city’s ‘One Percent for Art’ ordinance. 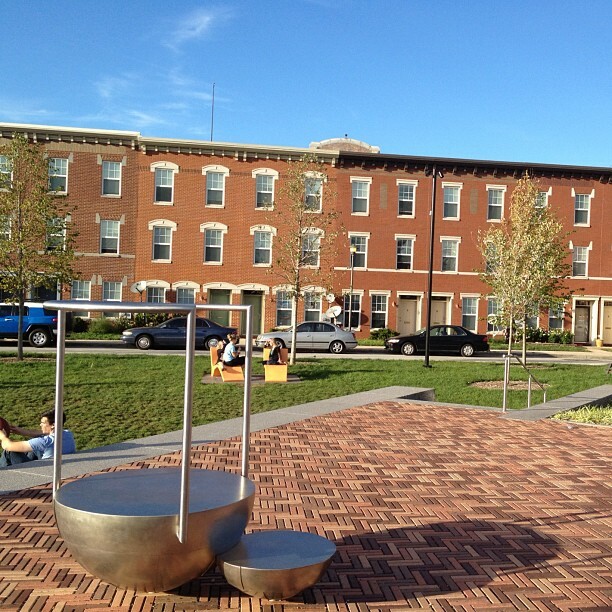 Visiting the freshly renovated Hawthorne Park in South Philadelphia recently had me reading casual references to this city’s celebrated, half-century old One Percent for Art Ordinance. Though I’ve come to know it and it’s often called a major reason for this city’s reputation for public art, I haven’t been able to find much writing of its roots. Since so many other cities have followed this trend, I thought it was worth sussing out where the idea originated. Ever think about the best stories you’ve ever read? What’s special about newsprint is how we clip those stories. We save them. I wanted to collect my favorite journalism pieces of my short life and share them with you. I have wanted to do this for sometime. Below, find my five favorite and a slew of my favorites from 2008, more generally than my favorite Philadelphia pieces of the year that I shared earlier this month. My first story for the Society of Human Resource Management magazine appeared online yesterday. It focuses on the dangers that face mobile employees who use unsecured wireless networks and what human resource professionals need to know about the trends. You can’t read it because it’s by subscription. Instead, I’ll give you my lede and what I cut from my first clip in a trade publication.